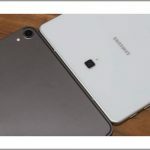 If you are considering buying a tablet, you have most likely contemplated getting an Apple Tablet at some point in 2018. 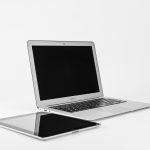 Apple offers some of the best-performing and striking tablets on the market, and there’s no doubt they’re one of the most popular brands from which to buy mobile devices. Apple is a top-selling electronics company that sets the bar for the best technology and electronic devices throughout the world. Apple often strays from the norm and has developed their own technology called iOS for their smartphones, tablets, and other devices. Apple has made the most revenue out of any of the other information technology companies in spite of all their competitors. Purchasing from Apple has many perks including great customer service, a one-year warranty, and integration between devices. With Apple stores all around the world, you can be sure that you will be buying a quality device that can be repaired or replaced if necessary. Apple created their own mobile operating system called iOS. Over time, they have continued to develop and improve their iOS and are now on version 11. IOS is designed to look beautiful and make life simple for its users with features like Siri, predictive typing, suggestions based on your activities, iCloud, and connectivity between Apple devices. What Kind of Tablets Does Apple Sell? Apple sells three different types of iPads that vary in size, appearance, and capability. Once you narrow it down to which type of iPad you want, you can then customize your iPad. These are some of the ways you might be able to customize your iPad. 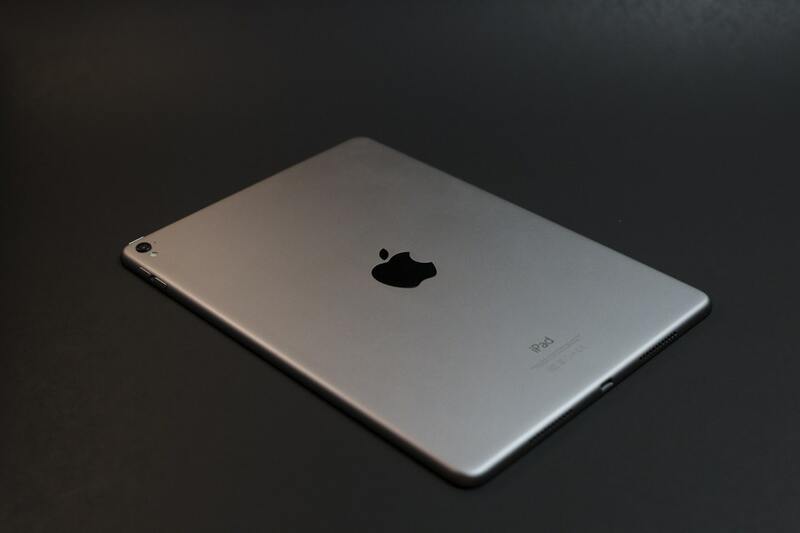 This guide was made to help you have the easiest experience choosing an Apple tablet. We did all the work so you wouldn’t have to. We’ve compiled this guide by sifting through various customer reviews, review articles, technical specifications, Apple’s website, and product descriptions. 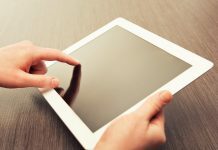 We understand that there isn’t necessarily a tablet that’s best for every person, so we’ve considered the best Apple tablets for different types of users and their needs. 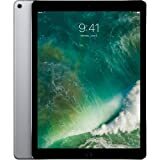 Apple tablets vary greatly in price starting at as low as $329 with the most expensive model costing a whopping $1,279.00. This purchase includes the iPad, a power adapter, and a USB charging cable. If you want to add on any accessories like an Apple Pencil or keyboard, add that onto the final price. Although Apple products already come with a one-year warranty, you have the option to purchase AppleCare+ for around $99 depending on the model, which provides two of tech support and accidental damage coverage. Your search for the best Apple tablet ends here. This list has the top Apple Tablets that we’ve picked out. Read the descriptions of each tablet so you can learn which features made these tablets stick out and figure out which tablet is best for you. With a tablet that is boasted to be more powerful than most laptops, the iPad Pro is perfect for students who need a tablet with a battery that can last at least ten hours. Just pair it with one of Apple’s Bluetooth or smart keyboards and an Apple Pencil for notetaking, and you’re good to go. 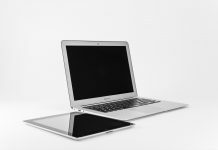 The 12.9-inch screen is plenty large enough to do research, write documents, and watch videos when you need a break. With 1.8 percent reflectivity and enhanced brightness, you can easily read on your iPad Pro wherever you go. The iOS 11’s new Dock makes your recently used apps and files readily accessible, and you can use Slide Over or Split View functions to have two apps open simultaneously. You can easily have your web browser on to do research while you write onto a Word document. The 256GB of storage is plenty large enough to download all the apps you need to perform your best and store all of your documents. This tablet costs around $949 through Apple. You can buy this tablet through Apple, Amazon, or most other stores that sell electronics. If you are buying an Apple tablet for your family, you’ll need a device that is powerful enough to be useful for adults and fun for kids. Plus, you’ll need plenty enough space for everyone’s favorite apps. 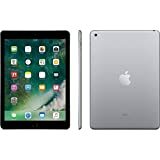 This iPad is the perfect tablet for you with 128GB of memory space with an A10 Fusion chip that makes this tablet extremely fast and powerful. The kids’ apps will run like a dream, and the whole family will have fun playing with Apple’s augmented reality apps that display virtual objects in the real world on your iPad’s screen. You can take pictures of your family wherever you go with this iPad’s 8MP camera. With Touch ID, you can shop easily with the touch of your finger and feel secure that your children can’t purchase anything without your permission since they’ll need your fingerprint as the password. Apple sells this tablet fo r $429.00. You buy this tablet from most electronics retailers. If you want an Apple Tablet that can travel with you wherever you go, the iPad Mini 4 with LTE cellular data is the best choice for you. This tablet’s screen is only 7.9 inches, so it is extremely portable and easy to take with you wherever you go. With cellular capabilities, you can use this iPad on road trips, at the park, or anywhere your adventures might take you. You’ll be happy to know that you can take great photos and videos of your surroundings with this tablet’s 8MP camera and 1080p HD recording. Also, FaceTime your family and friends wherever you may be if you start missing home. 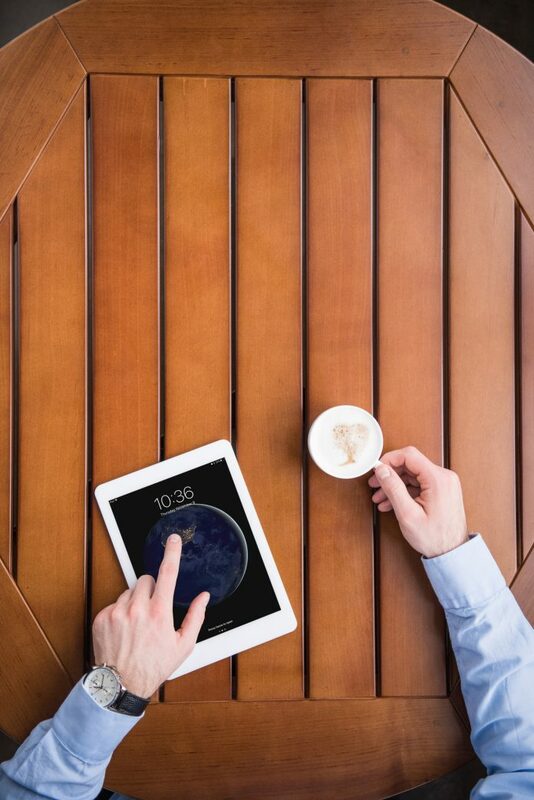 Whether you use your iPad for games and entertainment, to keep up with work while you’re away, or to stay connected to those who matter to you, the iPad Mini 4 is the perfect companion on all your travels away from home. Apple sells this tablet for $529.00. You will also need to consider the extra cost of adding this tablet onto a data plan. You can buy this tablet through Apple, Amazon, and other retailers that carry electronics. If you’re a professional who needs the best possible tablet so you can do your best work, this iPad Pro is the tablet for you. With 512GB of internal memory and LTE data, you can take all your work with you wherever you go and almost always have internet access. Whether you are an artist, a photographer, or a business owner, the iPad Pro has apps and new features that will help you stay productive and create amazing work. Artists will definitely want to purchase an Apple Pencil to achieve amazing detail in their work. This newest version of the iPad Pro has an increased refresh rate and a beautifully redesigned Retina display which means your pencil’s movements will be tracked as soon as you touch the screen, and the final product is sure to look stunning. Photographers will absolutely love this iPad’s 12MP camera equipped with Apple’s image signal processor to make all the photos and videos you take look amazing. For any other sort of professional, this tablet’s new Dock program, multitasking capabilities, and smart keyboard compatibility are sure to make your job much easier. This tablet is the most expensive tablet Apple sells and costs $1,279. You can buy this tablet through Apple and other electronics retailers. If your passion is gaming and mobile games are just one of the ways you enjoy to play, this iPad pro is the ultimate Apple Tablet for you. With much faster processing and graphics speeds than Apple has ever been able to offer, your games will perform smoothly. Apple’s augmented reality apps and games look especially amazing on this iPad model due to its amazing Retina display and resolution. Apple’s new ProMotion is one of the features that makes this iPad Pro’s retina so great. Pro Motion supports a 120Hz refresh rate so the tablet will be more responsive to your touch, and it will respond better to motion on the screen. Even 3D games will look great on this tablet. The 10.5-inch screen on this iPad is perfect for games. A smaller screen might feel packed, and a larger screen would make it hard to play fast-paced games. The 64GB of data should be more than enough room to hold all your games, streams, videos, and more. You can buy this tablet for around $650.00 through Apple. You can buy this tablet through Apple, Amazon, Best Buy, and other retailers that sell electronics. If you want to get an all-around great Apple tablet at the best possible value, the 128 GB iPad is the best choice at around $400. It is around the same price as the iPad Mini 4, but with a better processor and larger screen. It has many of the same great features as the iPad Pro, but it is several hundred dollars less. This tablet is also very versatile and can be useful for almost any type of user. It is compatible with a Bluetootht keyboard and Apple Pencil and can even be purchased will cellular data capabilities if you want those features.